Beer Sheva the largest city in the Negev desert in Southern Israel. Often referred to as the "Capital of the Negev," believe it or not, it is the seventh most popular city in Israel with a population of over 200,000. There is a large Russian community in the town and they have made the game of chess very popular - it's even considered a major sport. In fact, it is so popular that there are more chess grand-masters per capita in Beer Sheva than any other city in the world. The Negev Museum of Art is set in a building that dates back to the turn of the 20th century, known as the Governor's House. There are four exhibition halls where the museum holds changing exhibitions of early and contemporary Israeli art. Looking for something to do on Thursday? The famous Bedouin Market will satisfy any shopaholic. Cheap Bedouin food and interesting bits of clothing are just some of the items on offer. Originally the Bedouin sold their livestock and other produce in the market. If you are looking for traditional Bedouin copper-ware, dress, fabrics, rugs, and ceramic items you will find it all here. Many Bedouin speak English. They are expert salesmen and will use all kind of tactics to get you to buy an item. Like all other markets in Israel, it is customary to bargain. Directions: Most local buses will stop at the market upon request. If you are walking, from the central bus station, walk to Eilat St. and cross over the road to the market. Another market just south of the Muslim cemetery is open daily and sells similar items as well. 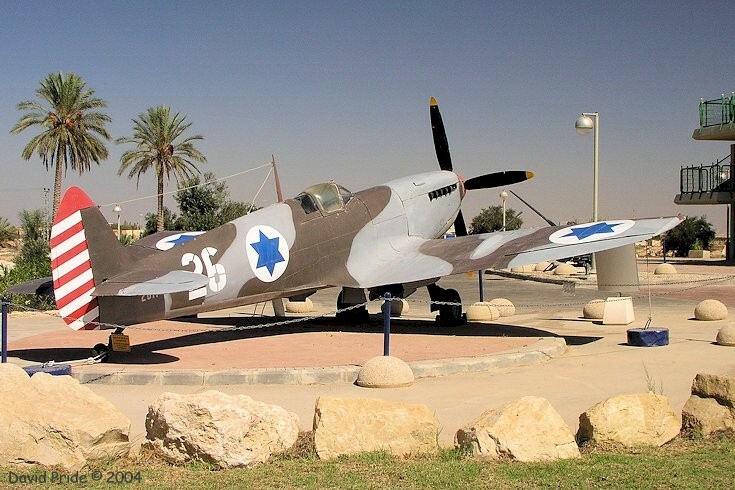 The Israeli Air Force Museum is a must see, a fantasy come true for all children and aspiring pilots. The museum has over 150 Israeli airplanes on display, from several generations of Israeli air combat and from every major operation in Israel. Also on display are airplanes captured from neighboring countries. Travel Tip: Free guided tours are given by Israeli soldiers. Call ahead to arrange a free tour and a demonstration of the large collection of anti-aircraft guns. Opening hours: Sun-Thurs 8am-5pm, Fri: 8am-1pm. A rich and varied display of Bedouin ethnic items and artifacts can be found at The Museum of Bedouin Culture. Thorough explanations of the Bedouin way of life in different parts of the Negev and Sinai are charted and describe the Bedouins' almost-extinct way of life. For directions, opening hours and other information, visit their website. The Allenby Garden was commissioned by the Ottomans in the early 1900s and then renamed after General Allenby, the leader of the British forces who captured the city from the Ottomans in WWI. Directions: On HaAtzmaut St., walk up the pedestrian mall from Abraham’s Well; the garden is on the left, beyond Herzl St.
Gan Remez is a ceramic sculpture garden next to the HaJama Turkish mosque. Located between Hadassah St. and HaAtzmaut St. The Negev Palmach Brigade Monument honors Israeli soldiers who died defending Be’er Sheva and other Negev settlements.